When you think of natural wonders in America, Niagara Falls will almost always come out on top, closely followed by the Grand Canyon and the Great Lakes. The epic expanse of water has fascinated visitors for centuries, from the the mythology of daredevils jumping over the edge to the more tourist-friendly Maid of the Mist boat ride. The average annual flow of the falls is 85,000 cubic feet of water per second which is incomprehensibly massive when a pint equals 0.020068 cubic feet. But what’s even more incomprehensible is that, for several months in 1969, the torrent of water gushing over the edge was reduced to a mere trickle. American Falls, the second largest of the three waterfalls that make up Niagara Falls had to be dewatered for a number of months due to concerns that, because of the large number of rock slides it was prone to, the falls could erode completely, Mashable reports. Engineers needed to stem the flow of water and study the geological make-up of the falls in order to avoid its potential destruction. 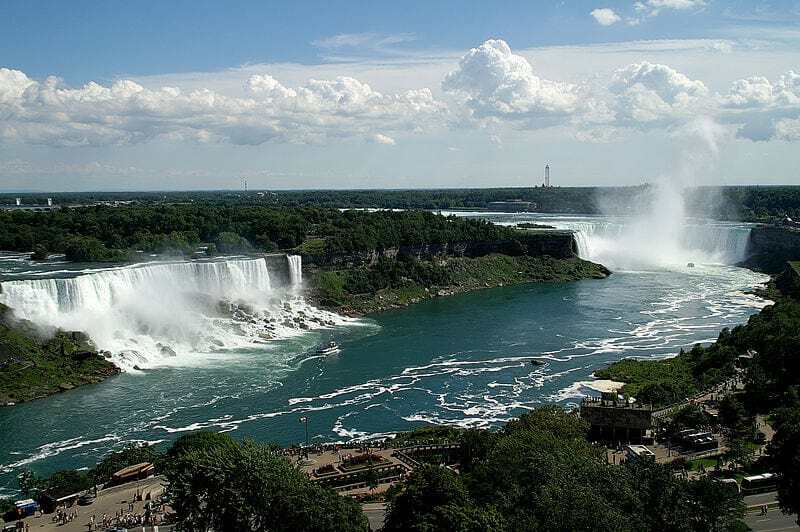 As the falls stretches across the border, a joint American-Canadian commission decided to dewater the falls for five months to carry out essential work. 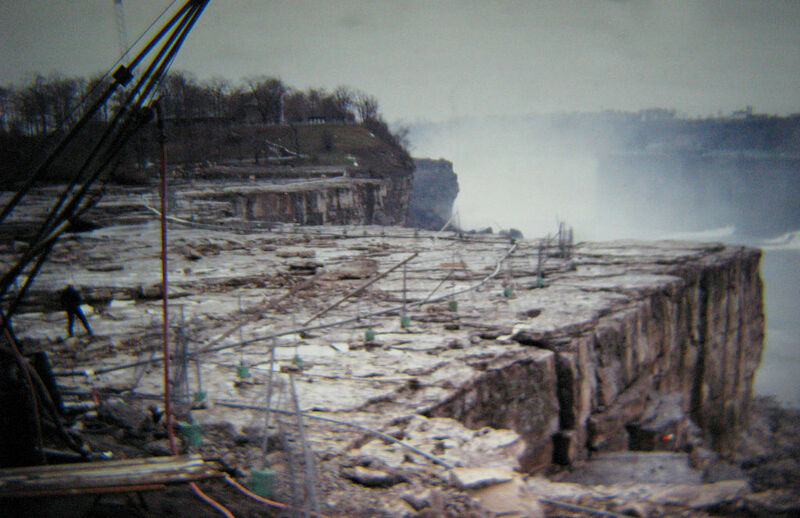 In June 1969 more than 1,200 trucks dumped almost 28,000 tonnes of rocks into a cofferdam – a temporary dam – upstream of the falls to divert the flow of water away from American Falls and towards the larger Horseshoe Falls. As the falls dried out for what’s believed to be the first time, the US Army Corps of Engineers began their work. Given the falls’ history of accidents and suicides, observers were surprised to see only two corpses were discovered. An estimated 40 people are killed each year when they are swept over the falls. However most of these deaths are by suicide. While the falls drained, other onlookers were excited to run across the dry river bed, collecting coins thrown into the water years before. In order to improve the stability of the river bed, the original purpose of the project, steel bolts and cables were installed around Luna Island and Bridal Veil Falls, and drainage holes were drilled to relieve pressure in the falls. 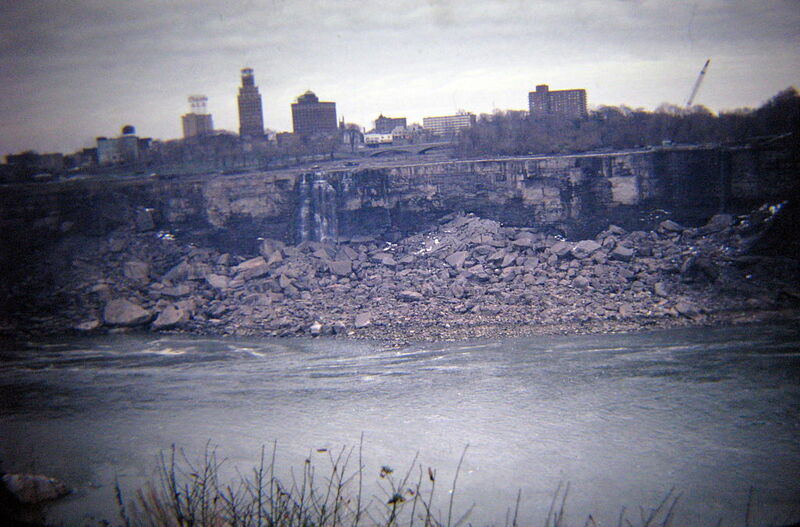 The cofferdam was slowly removed in November in 1969, allowing American Falls to flow back to normal. However, they could be dried out again soon, as two old bridges above the water need to be replaced, which would most likely mean dewatering the river. The new plans to make the falls go quiet once more have locals wondering what’ll be dredged up from the rocky bed this time. It’s expected people will come from all over the world to see Niagra Falls run dry, and walk along the famous river bed. In October 1901, Annie Edson Taylor was the first recorded incident of a person to survive the plunge as she famously went over the edge of Niagara Falls in a barrel.